Digital skills just a few years ago were considered to be a niche skill set, only needed by coders and web developers. Today, they are increasingly important, even vital to the operation of most businesses in the UK and for almost every member of the workforce. But we are facing a critical shortage of digital skills, hampering productivity and global competitiveness. A survey by the British Chambers of Commerce (BCC), published in April this year questioned more than 1,400 businesses across the UK and found that 84% of firms think digital and IT skills are more important to their business than two years ago, with half (51%) saying these skills are significantly more important. 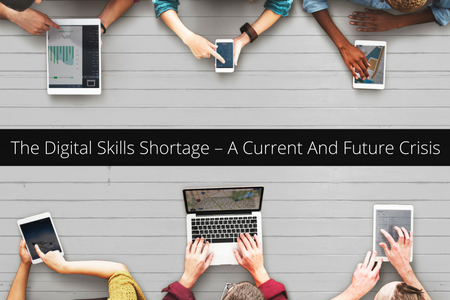 The survey demonstrates the stark reality that the majority of businesses (75%) are facing a shortage of digital skills in their workforce, with 52% reporting a slight shortage, 21% significant and 3% a critical shortage.